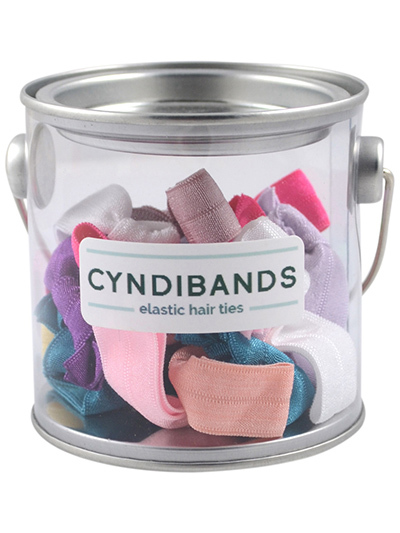 Our collection of 24 multi color minis in a giftable paint tin that measures 3 x 3 inches. 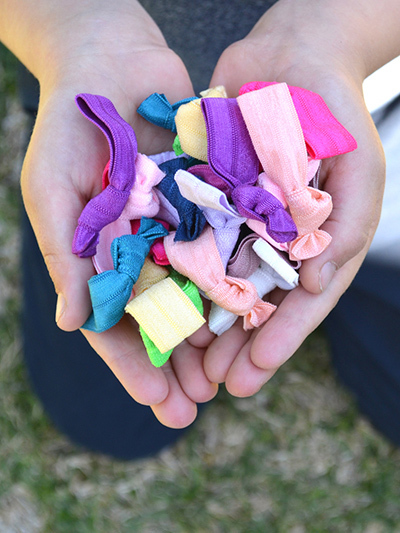 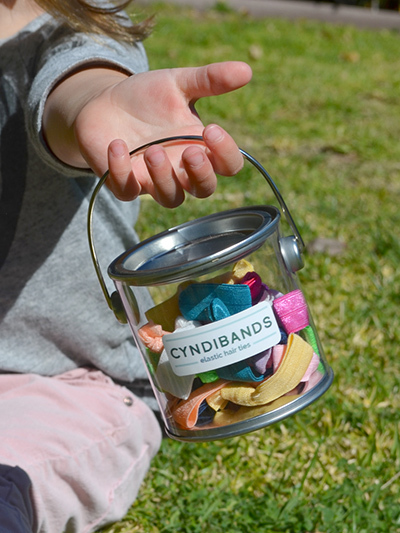 Cyndibands Minis are shrunken size versions of our standard gentle hair ties made especially for babies, kids and braids. Set includes 2 of each color to allow for matching pigtails.